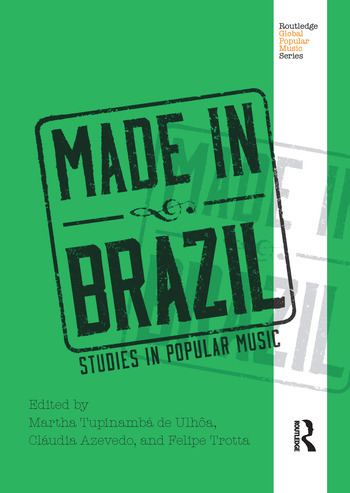 Made in Brazil: Studies in Popular Music serves as a comprehensive and thorough introduction to the history, sociology, and musicology of twentieth-century Brazilian popular music. The volume consists of essays by scholars of Brazilian music, and covers the major figures, styles, and social contexts of pop music in Brazil. Each essay provides adequate context so readers understand why the figure or genre under discussion is of lasting significance to Brazilian popular music. The book first presents a general description of the history and background of popular music in Brazil, followed by essays that are organized into thematic sections: Samba and Choro; History, Memory, and Representations; Scenes and Artists; and Music, Market and New Media. Martha Tupinambá de Ulhôa is Professor of Musicology at UNIRIO—Universidade Federal do Estado do Rio de Janeiro—and Researcher of the Brazilian National Research Council (CNPq). Cláudia Azevedo is lecturer and developer of a post-doctoral research project on popular music analysis (with a FAPERJ—Fundação de Amparo à Pesquisa do Estado do Rio de Janeiro—scholarship) at the Program of Post-Graduation in Music at UNIRIO—Universidade Federal do Estado do Rio de Janeiro. Felipe Trotta is a faculty member of Media Studies Department at UFF—Universidade Federal Fluminense—and researcher of the Brazilian National Research Council (CNPq).